Is it possible to take one item at one of your devices and then reach it on another device? The answer to that is yes. One of the features of iOS 5 is what is known as automatic Sync. An example of this is if you have a picture on your iPhone then it will be automatically reached on your iPad. There is an iMessage app that Apple introduced. This works on the iPhone, iPod Touch and the iPad. The only thing unique about this is that it does not sync between the various devices. After further investigation into this, it appears as if the iPhone 4S uses the Phone number in iMessage instead of the email address. This is why there is not an automatic sync between the devices. However, do not despair. You can enable the iMessage app to sync between all of your devices. The first step is to go into your setting and open up Message. The next step is to click on the “receive at section”. After that, you want to click on the Caller Id. Next you want to make sure that you click on the Email Address and make sure that there is a check mark next to it. 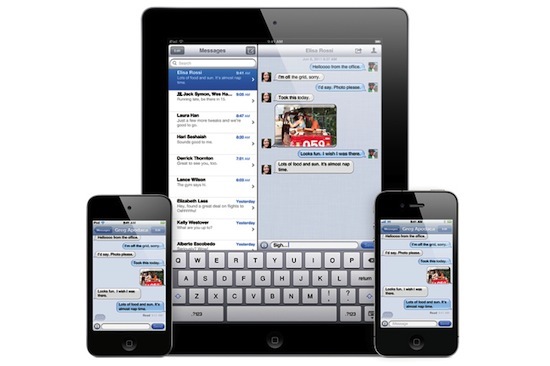 These steps will enable iMessage to sync between iPhone, iPod Touch and your iPad. A neat feature with this is that you can start to chat on one device and end the chat on another device. 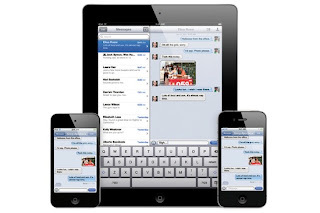 All of your message will automatically sync between your various devices. If you find that it doesn’t seem to work right away, just go ahead and send a message to the same person from each device. You will soon find that it works fine. This is a really neat app and one that will make your chatting and messaging experience really exciting. 0 Respones to "Enable iMessage to Automatically Sync"